Another one illustration for my recent project – series of illustrations for new application’s webpage. 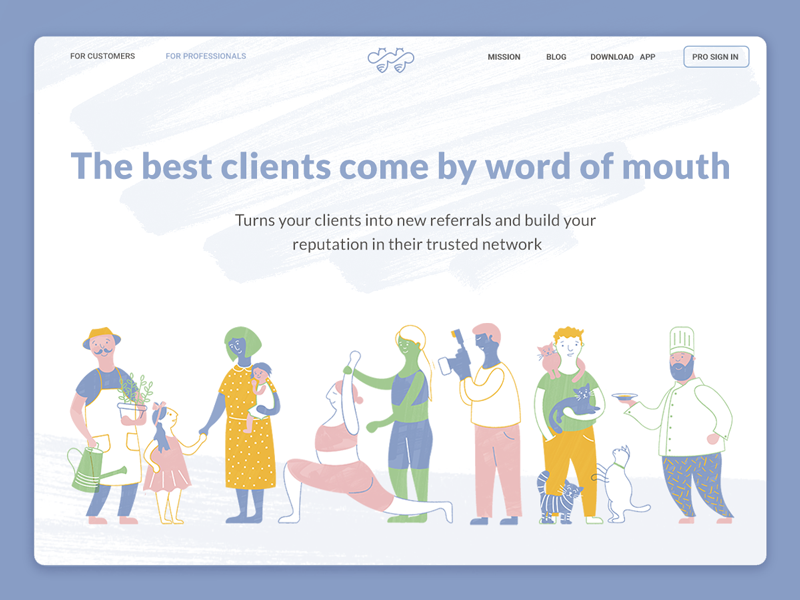 This one represents different professionals in household fields, and this app does just that – helps to connect customers and professionals for services on-home. Been working on a series of illustrations for a new application’s webpage. 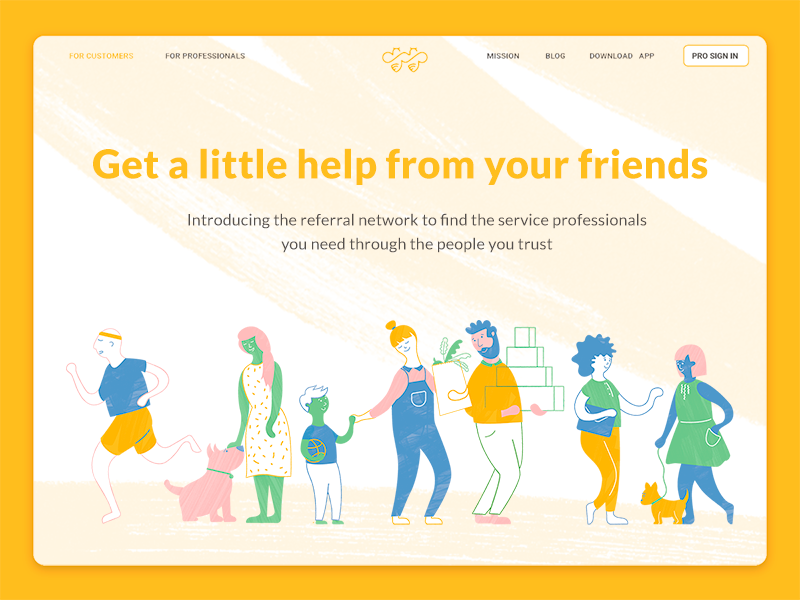 This app, called ‘Beespoke’, helps to build strong local communities of professionals and customers to provide best household services and to connect everyone together. This one is a piece of ‘Customers’ illustrations set.